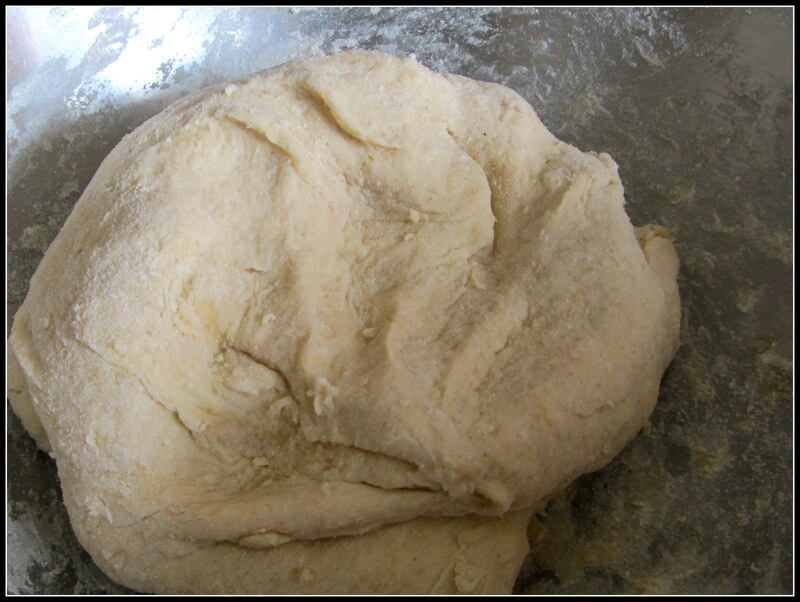 This is the part which takes a while to master – kneading the dough. My advice is to add small amount of water at a time. But first add some oil in the flour. I am making 4 parathas, so I used around 1 tbs of oil. 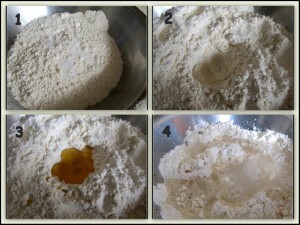 Mix the flour and oil. Now you can add water slowly and knead. Add more water if required till you get a slightly elastic but firm dough. 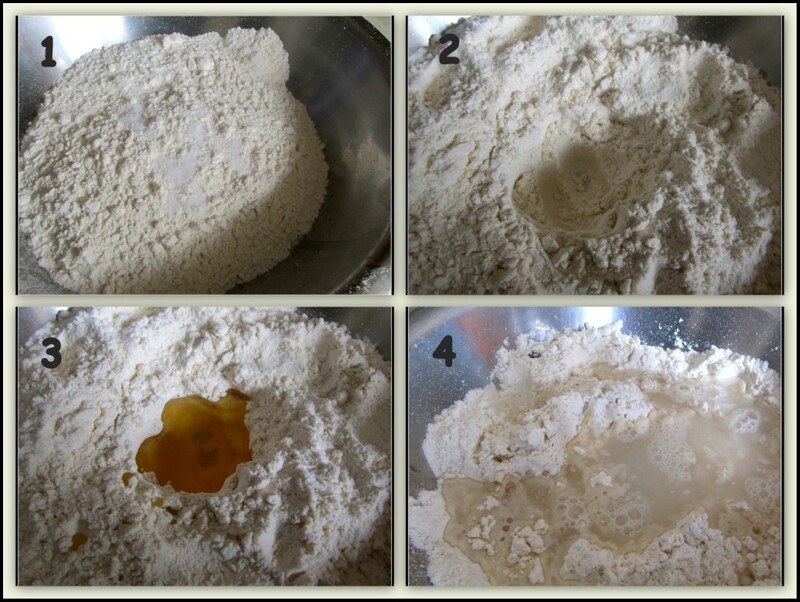 If possible cover the dough and keep aside for sometime, my mother says it helps the flour to soak the water better. Preparing the green peas filling is easy. Add all the frozen green peas in a pressure cooker and add a spoonful of sugar. 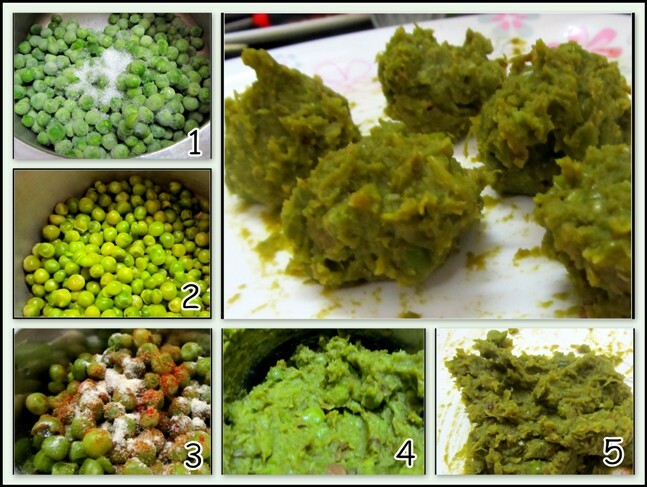 If the peas are in frozen state, you do not need to add any water. Cook for 2 whistles. When the peas are cooked pour them in a blender and add salt, chili powder and asafoetida (hing) and blend till you get a smooth paste. 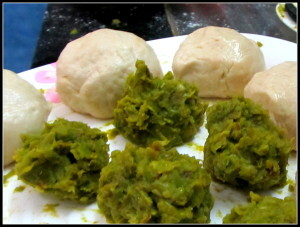 Take the green peas paste out to a plate, mix well with hand and make small green-peas balls of approx 1 inch diameter. 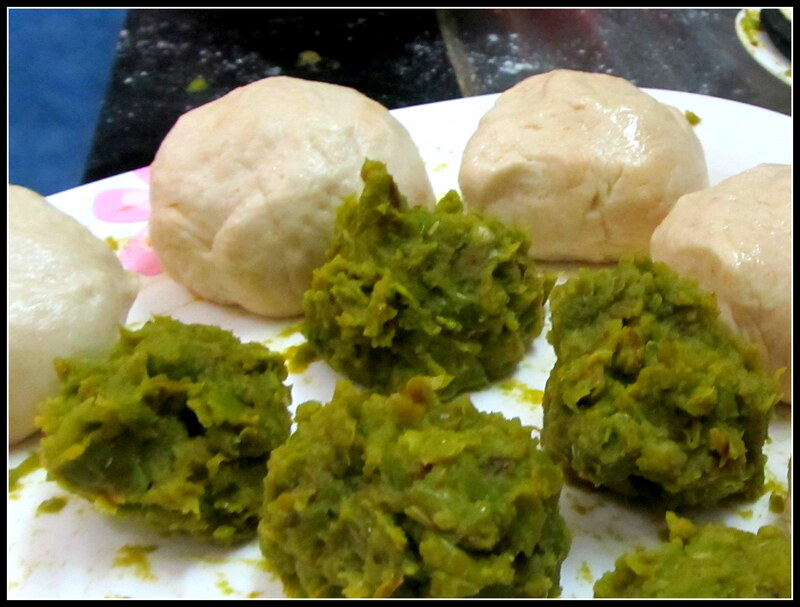 Make a little bit bigger size of balls from the dough. To make these, rub some oil in your hand and then make the balls. Now for the next part, make the dumpling and roll the dough. Flatten the balls by pressing with hand. Try to make the circumference thinner than the middle part. Put the peas filling in the middle and fold the sides to make a dumpling. Gently press the middle to seal it. Repeat the same steps for rest of the balls. Now take a rolling pin and rub little oil on the top of the rolling surface. Place one dumpling face down on the flat surface. 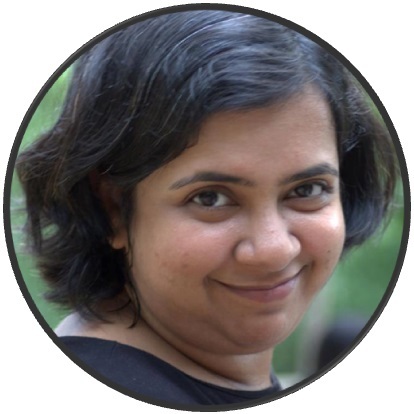 Gently and carefully roll it to a paratha. Don’t beat it if it is not circular 🙂 . Repeat for all the other dumplings. Now put the tawa and sprinkle some oil. Put one paratha on the tawa. While the bottom side is cooking sprinkle little more oil on the top. After a minute flip the paratha. Keep flipping till you are satisfied. 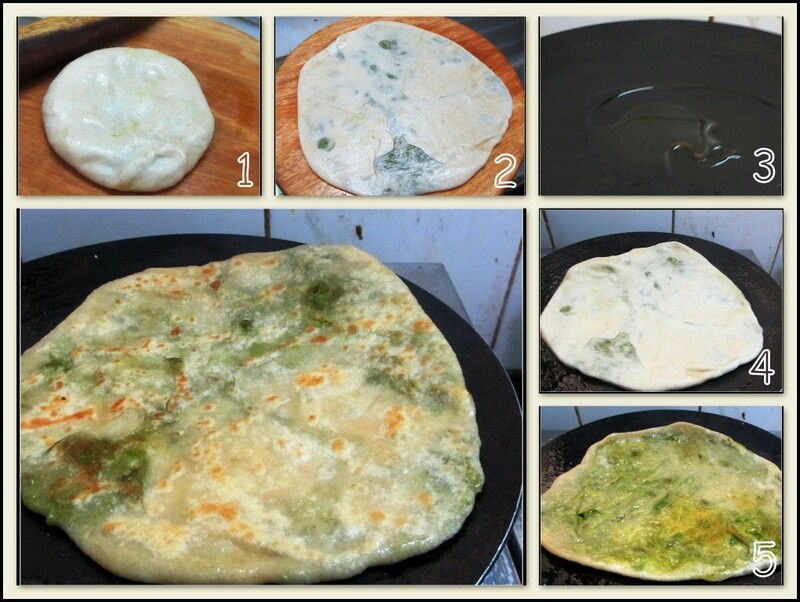 Repeat this procedure for rest of the parathas. 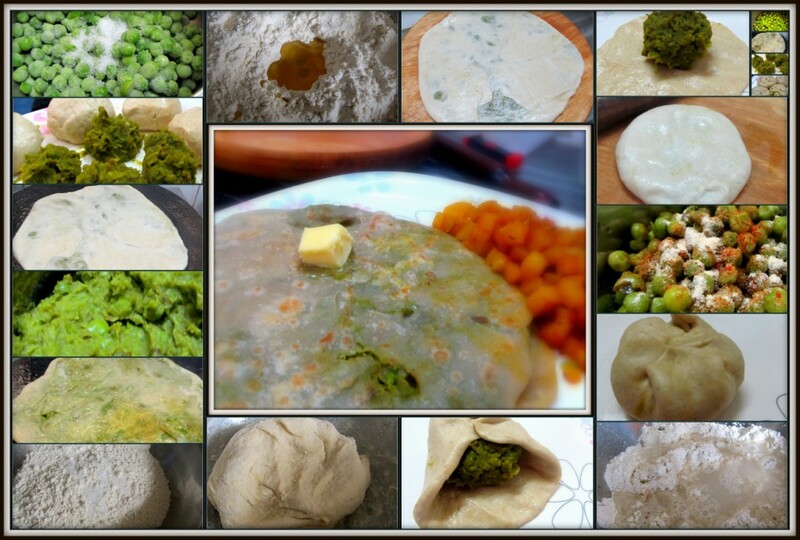 Your green peas parathas are ready for serving. If you please add a cube of butter. 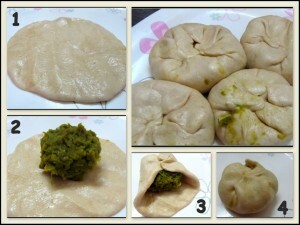 Flatten the balls and place the green peas filling in the middle. Make a dumpling. 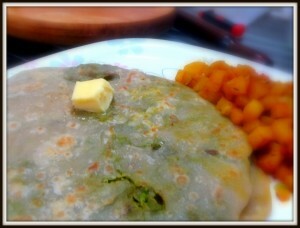 Fry the parathas on a tawa.